Ever since Mr Mercer dumped the rest of The Shins, I’ve been unable to muster the interest to check out the new album. I know it will be good, but why? Why?! The whole band?! Why?! Laura Imbruglia just released her second full-length album ‘The Lighter Side of…’, which can be heard in full at her official web site, lauraimbruglia.com. The Australian singer songwriter also posted a YouTube video talking about what’s included if you buy the CD. “I know it’s easy to download music for free and that’s what people do these days but this album comes with a COMIC BOOK,” Laura writes. “It really needs to be seen to be believed. I thought I’d do a little vlog where I talk people through it and encourage them to buy the physical version but I just come across like a grumpy old lady.” Watch it below. Laura’s Karaoke Adventures! episode 2 features Laura Imbruglia at a bar performing the Salt n Pepa hit ‘Shoop’. “Salt n Pepa were a big part of my life in 1994. Me and my friend Nichole used to perform this and ‘None of Your Business’ to our year 6 class whenever we could convince Mrs Smith that it’d be a good idea,” Natalie’s sister writes. “I think TLC, The “Dangerous Minds” soundtrack and Shaggy entered my life soon after. Awesome.” Watch it below. 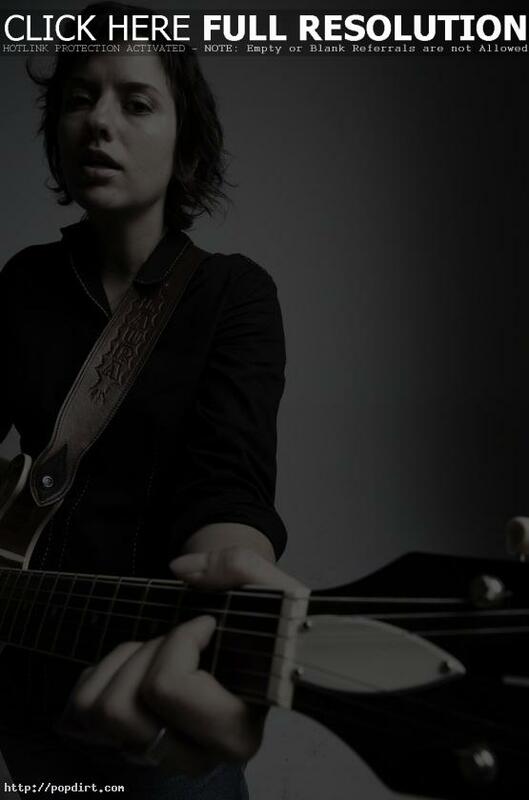 Laura Imbruglia recorded her second album in March 2009 with Nick Huggins in Melbourne, Australia, joined by Robbie Avenaim on drums. Watch highlights of their recording session via MySpace below. Hey!!! The powers that be have said I could put some new songs up for you to listen to. So I put 4 up. They cover some of the musical area that’s on my album but there is more area which you will hear when said album is released. Plenty more area. Like, another 9 songs more area. I hope you like ’em. I’m really friggin’ excited to have something new out there and some new songs to play live. Hopefully I’ll be doing some more shows soon and when my new band is ready to start playing shows, we will get rockin’ like Dokken. Or Darkthrone. Or Dark Tranquillity. Or Dream Theater. Or Duran Duran. Soooo…today we recorded some more stuff. I did vocals for “You’re A Parasitic Germ”, guitar and vocals for a song called “Living on Light” (which I wrote with my friend Christian from the band Talons) and guitar & vocals (together at the same time ’cause I am a warrior of steel) for a song called “All My Worst Nightmares”. I haven’t played either of those just-mentioned songs live before so you won’t know what the hell I’m talking about. But “Living on Light” is about breatharianism and Jasmuheen. Google those words. Yes. And it’s got an unsettling feeling to it. Sh**, I haven’t blogged in a gazillion years. Tax return has been really tricky to work out this year, I blame that, and the rising cost of fuel for my lack of blogness. Sorry. MTV have chosen my song “It’s Getting Worse” to use on an upcoming ad to promote MTV on iTunes. Now, this isn’t normally the sort of thing I’d go telling everyone, but I’m not credited on the ad, so I figure, if some curious person saw the ad, liked the song and Googled “MTV on iTunes ad song”, they might reach this blog and discover it is my tune. And then they’ll go download it for free. Bastards. So keep yr eye out on MTV over the coming months, you may hear a mashed up version of the song. Who would’ve thought a bitter love song could be transformed into advertising gold? Not I, but I am happy all the same. Watch Laura performing the song while walking through the Brunnenmarkt in Vienna, Austria back in February below. It was a RUDDSLIDE! Yay! Congratulations to the people of Australia for our new Government. Hoorah! Remember how I kept bugging you to vote for the “Looking For Rabbit” clip? Well, you voted good, ’cause it came in at #3 for most voted for Aussie clip of 2007 on good ‘ole JTV. I got so many votes I’m almost the Labor party. The evidence is below…so thankyou from my bottom of the heart. Watch the ‘Looking For A Rabbit’ video below the fold. Howdy! I’m a travelling gal! I’ve eaten way too many lollies, they’re just so good over here- I can’t control my urges. So, Berlin was fun – I’m very much looking forward to heading back there to continue my German fun- please come to the shows – all Germans reading this. And please point me in the direction of a good David Hasselhoff t-shirt. Thanking you. Now I’m in London and really not doing much during the day- tomorrow I will aim to do SOMETHING with my day, as I am really wasting my precious time in this foreign country. I have added another London show to my list- 5th October and other bits and pieces of information. Come to my London gigs!